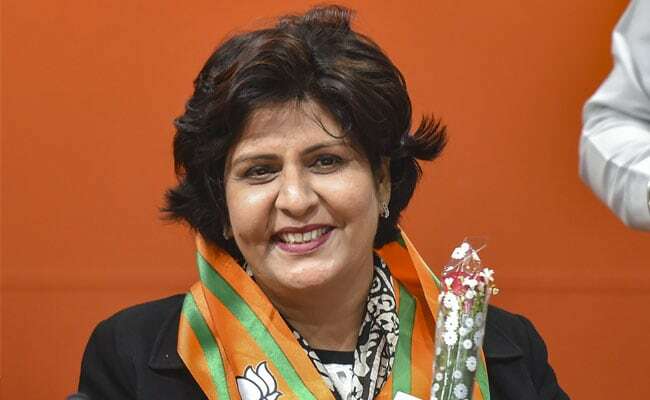 Deepa Malik joined the BJP in the presence of the party's Haryana unit chief Subhash Barala, and general secretary Anil Jain, who is in charge of its affairs in the state. Deepa Malik is the first Indian woman to win a medal in Paralympic Games. Deepa Malik, a noted para athlete, Monday joined the BJP with the party asserting that her presence will strengthen the organisation. She joined the BJP in the presence of the party's Haryana unit chief Subhash Barala, and general secretary Anil Jain, who is in charge of its affairs in the state. She is the first Indian woman to win a medal in Paralympic Games. "We welcome her into the party. She is an inspiration for all of us. She has made the country proud," Jain said. With the BJP yet to announce all its candidates in Haryana for the Lok Sabha elections, Ms Malik may be in the reckoning for one of the seats, sources said.